Read FAIR’s new issue brief here or scroll down. Under federal law, any non-U.S. citizen is an alien. Aliens who have entered the United States without permission, or who have violated the terms of their admission, are identified under the law as illegal aliens. That is a fact, not an issue for debate. It is also a fact that, according to U.S. law, it is a crime to enter the United States without permission. This first time offense is a misdemeanor, the second time, a felony. Despite the clarity in the U.S. code on proper terminology, what is known in legal parlance as the “term of art,” a political movement has arisen whose object is to substitute euphemism for precision. A variety of motivations underlie this effort, but regardless of intent, the goal is the same. 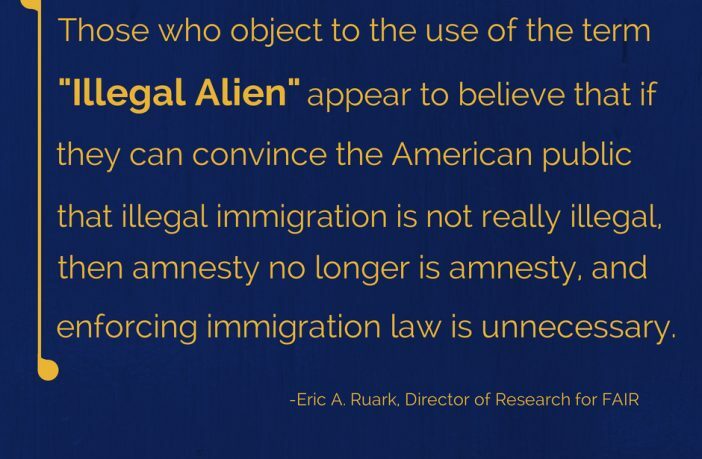 Those who object to the use of the term “illegal alien” appear to believe that if they can convince the American public that illegal immigration is not really illegal, then amnesty no longer is amnesty, and enforcing immigration law is unnecessary. 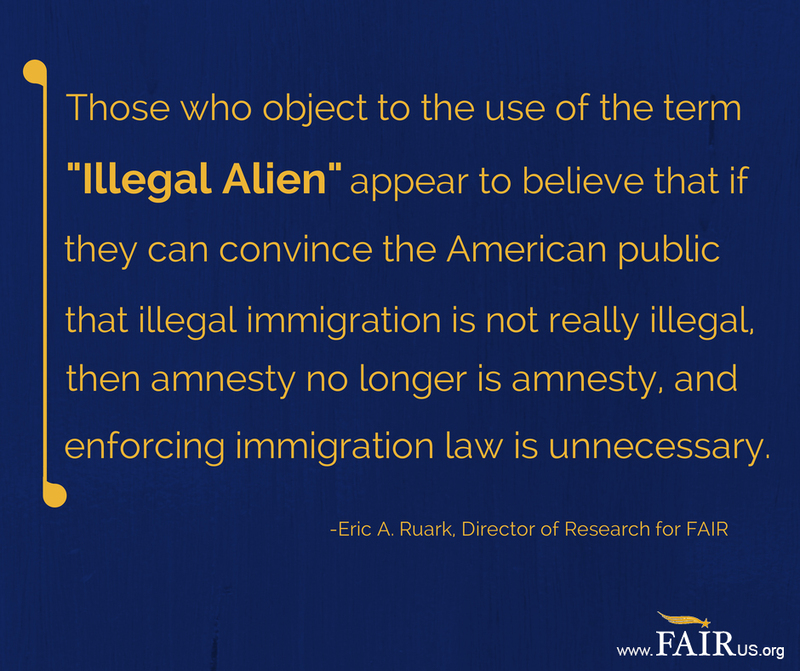 There are a few principal arguments made against the use of illegal alien. They are simplistic, and easily refutable. The first is that no human being is illegal. 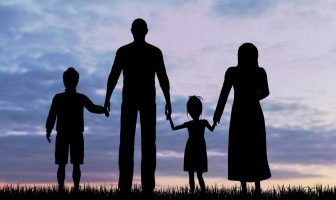 To identify someone as an illegal alien does not banish that person from the human race; it simply identifies an individual who does not have the legal right to reside in the United States. Another oft-employed argument is to claim that illegal aliens just lack the proper “papers,” and so they are not really illegal but instead “undocumented.” The implication is that those with documents were lucky enough to have somehow come into possession of a visa or a “green card,” and not that an alien who received these documents submitted to a complex process that complies with the requirements of entry into the United States. The “undocumented” term is also patently misleading because illegal aliens as a group are certainly not lacking identification documents, only legitimate, legally obtained ones. 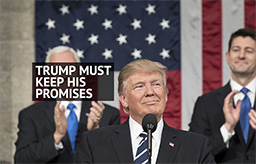 Often an illegal alien will purchase or manufacture false or stolen documents and, according to Ronald Mortensen of the Center for Immigration Studies, as many as 75% of illegal aliens in the workforce are using fraudulent Social Security cards. The wrangling over the term illegal alien goes beyond whether particular words are proper to use. Underlying the “newspeak” by defenders of illegal aliens is the question of whether the United States will remain a sovereign, independent nation, governed by the rule of law and subject to constitutional constraints. U.S. immigration laws were enacted by Congress. The Executive Branch has the responsibility to enforce them, not to implement them as the President sees fit. Those who deny that immigration laws are binding are declaring that there should be inequality under the law, where some groups are not only immune from compliance but should benefit from their offense. Under attack is the very foundation of this republic as a nation established on the principle of respect for the law, as is the right to self-determination of the American people. A fundamental principle of sovereignty is that the people of any country have the absolute right to defend their borders and to admit or deny admittance to others according to their discretion and laws. It is not extremist, racist, or anti-immigrant for Americans to expect their national borders to be secure and that those who violate immigration laws are held accountable. Political correctness run amok. Should we call drug dealers “undocumented pharmacists” or rapists “non-consensual sexual partners”. Call them what they are not matter what the race or country of origin. ILLEGAL ALIEN. PERIOD. did u ever smoke pot? therefore are you a criminal? Claiming the illegal immigrants should be known as “undocumented workers or the like” is idiotic,stupid and untrue. They are individuals that are in our country illegally,alien to our way of law. The clowns that say they should be classified as “undocumented” have their heads you know where. “Undocumented workers” as used by foolish people and news agencies is the same as saying drug dealers are “undocumented pharmacists”. These people need to wake up and pull their heads out. This distorting of the truth “spinning” the narrative is 1 thing this Administration is very skilled at and is an important way they push their way Left agenda out to the mainly low-information American public so that it seems less radical and dangerous than it really is. 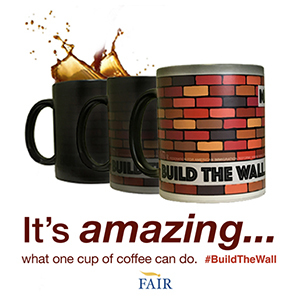 The challenge to FAIR and other organizations trying to “do the right thing” regarding all the illegal immigration is to get the TRUE message out to the broad public in a way that they pay attention. Think the best way to do t hat is to demonstrate the catastrophic economic costs of educating, housing, providing healthcare for, food stamps, welfare, etc., etc., for millions of mostly poor and uneducated illegals. And how much their taxes are guaranteed to rise to try paying all these enormous costs over many years, as these children grow up poor in this country. 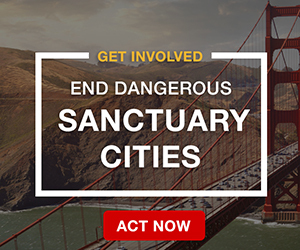 Don’t think right now the majority of Americans are appropriately concerned about the devastating economic and security issues involved if Obama unilaterally declares broad amnesty for illegals. I have hear some left leaning pundits say they prefer the term “Undocumented Immigratns” over “illegal Aliens” since some of these people may be ajudicated to be refugees and therefore could be declared to be legal.immigrants. both the democrat party and republican party joined hands in the 1920s and formed the progressive party, with the goal to destroy this country and they are doing it. I am sure glad that the term “illegal Alien” is finally defined according to this country’s right to do so. We have to remember that these terms are defined by law through Congress and not by Commissioner of the INS Service just because of public pressure. At least the term does not define nationality, race, or ethnicity or color. How then has this term been offense to illegal aliens when they have broken our country’s laws. Well not exactly accurate most people associate the term illegal with Mexican, no. Educated and poor so be more ac irate and precise.